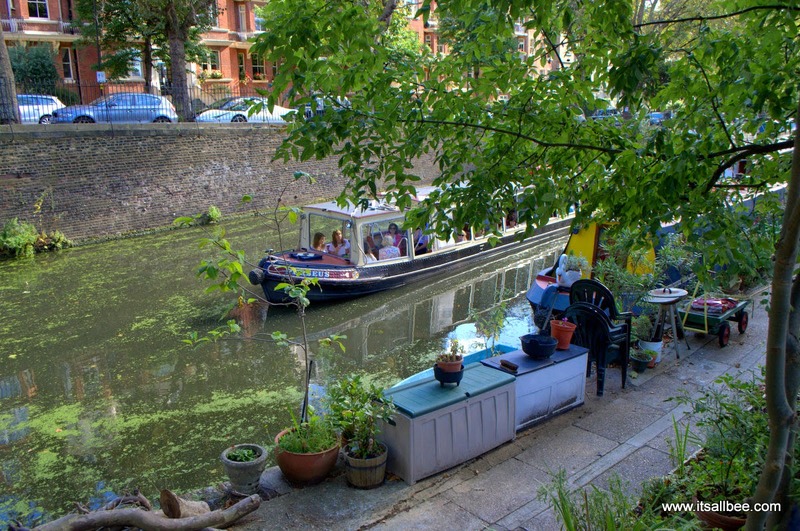 A Little Venice in London is our very own hidden gem on the Regents Canal. 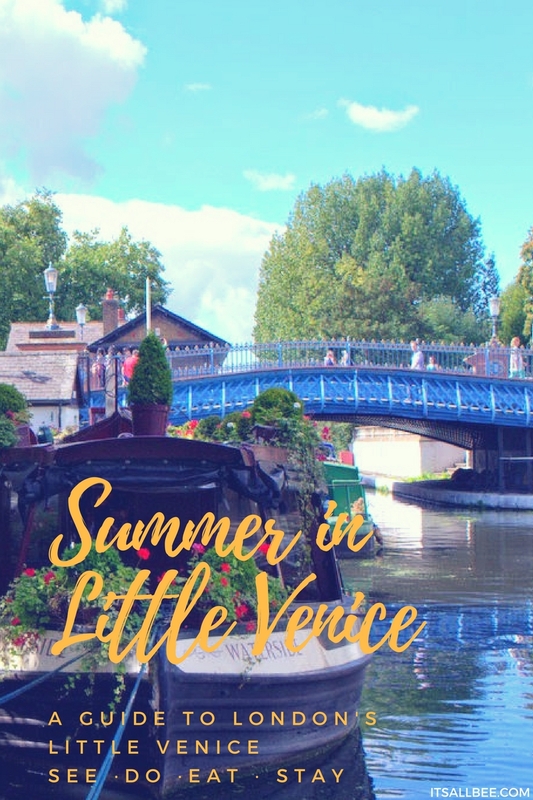 With plenty of things to do in Little Venice from boat trip taking you from Little Venice to Camden, to exploring nearby Abbey Road, to great food on the London’s grand canal I will take you on a little trip exploring London’s Little Venice. Read on! Unlike Italy’s Venice, you won’t find gondolas in Little Venice(update!!! We now have them! – Will post soon) the whole village doesn’t float on water like Venice, but nonetheless, Little Venice has a certain charm about it. You can take canal boat trips and navigate through the picturesque routes along Regents Canal in this affluent part of London. It’s a haven for beautiful architecture, restaurants offering to din with views of canal boats floating by. With its close proximity to Abbey Road, recording studios don’t be too surprised if you spot a musician or two in the area. 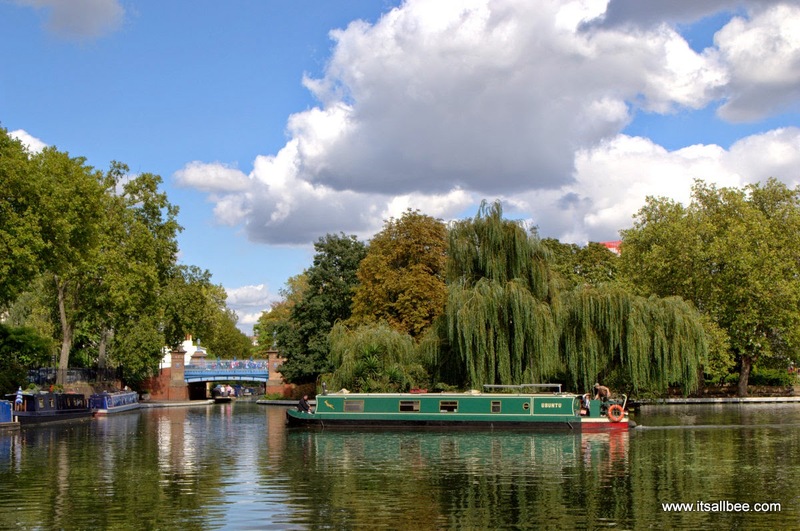 For staying locally check out hotels in Little Venice here. London hasn’t been blessed with much of a summer this year but when we took Little Venice on a Sunday afternoon for a late breakfast it was just perfect! Nothing better than a Sunday spent chilling on a canal-side cafe, bright sun glimmering on the waters and offering some much-needed reflections of warmer tones. Water boats floating by, Londoners taking to paddle boarding and kayakers circling Browning’s island in the center of the canal. We may not have singing gondoliers on gondolas, but the charm of an area opened in 1820, is still just as enchanting now, as it might have been then. Public and private moorings with houseboats in an assortment of colours and names to amuse passers-by. Little windows decorated in a range of comical, eccentric and some so elaborate and detailed in design as if to add a touch of elegance to canal boat living. You may not be able to take a gondola ride but there are plenty of tour boats to lazily cruise you around the canal with a touch of tales of London’s old-time or if you fancy something more intimate there are smaller boats you can hire with your very own captain for you and a few of your posh posse. With some even offering afternoon tea on the water – a floating afternoon tea so to speak. With the sun was out in its last bid before autumn takes over the show, we took advantage of the bright sunshine when it turned up in London. So old boy, a teen and myself took to having breakfast on the boat while indulging in a little people watching. We also walked along the canal on our very own tour of the back streets and the moorings. Although there are guided tours available – we opted for a little self-guided. I love Little Venice as its just busy enough with small crowds on Sundays because not a lot of tourist make their way this side of London. Most go straight to Camden Town and miss out on this lovely little pleasure trove. It’s also a great way to just chill out in the little cafes dotted around the canal. 1 Where is Little Venice in London? Where is Little Venice in London? 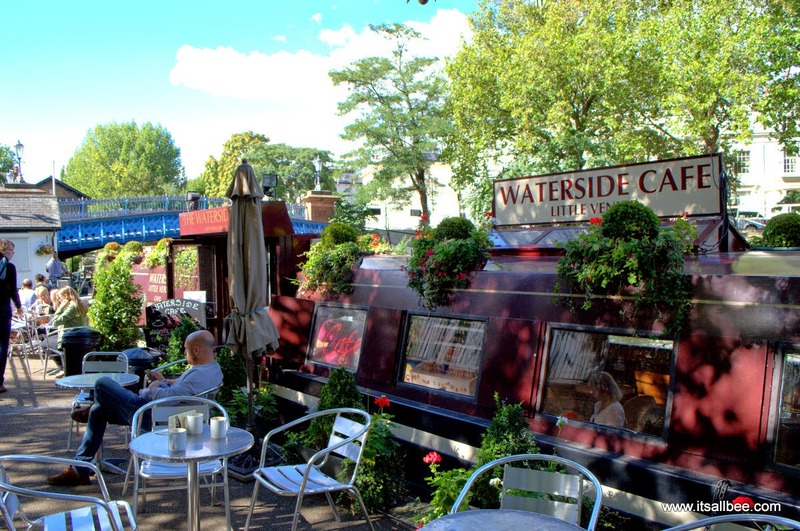 Just minutes from Paddington Station and Warwick Avenue, Little Venice is a beautiful little honey pot location where the Regent’s Canal meets the Paddington Arm of the Grand Union Canal. Little Venice is a little village in the borough of Westminster where Regent’s Canal meets Grand Junction Canal. It’s cut between Paddington, Maida Vale and Warrick Avenue. Lined with beautiful Georgian and Victorian townhouses, willow trees, and canal waterways. Beautiful architecture, some of which was designed by John Nash who designed the beautiful Regents Park that I showed you over the summer. 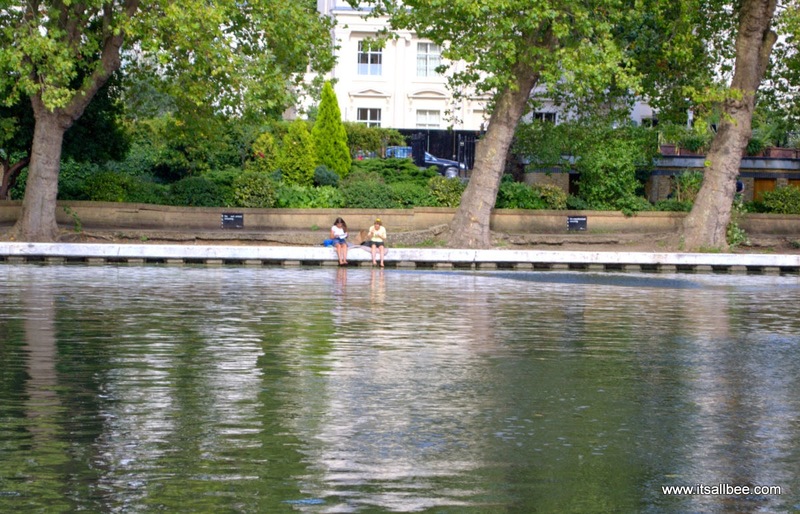 The name Little Venice is thought to have been coined by the poet Robert Browning and has now come to mean the whole area to the south of Maida Vale. Unlike Venice where visitors will most likely arrive by boats, water taxi or the Vaporetto water buses. You will get to Little Venice by Train or bus if you choose. The nearest tube stations are Warrick Avenue and Paddington Station. 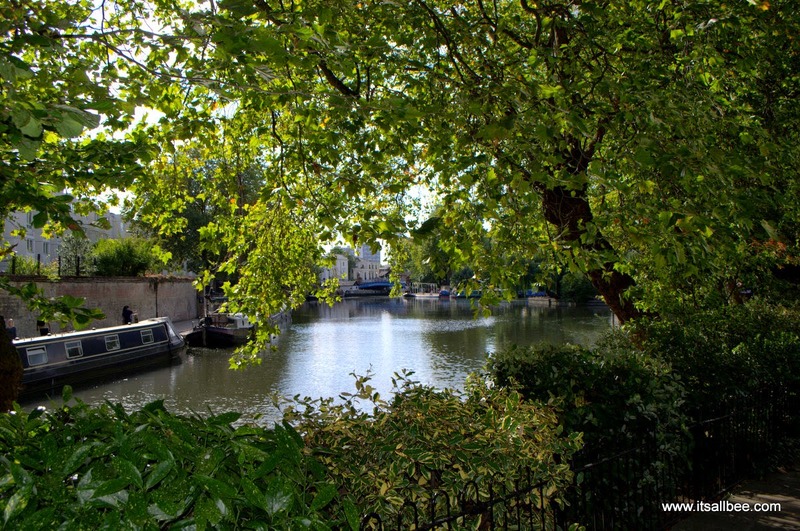 Get to Little Venice by car – Parking in this area is incredibly difficult also expensive. Its a lot easier and easy enough to walk to Little Venice is from the tube stations mentioned above than to drive here. Get to Little Venice by boat – just past the Toll House canal cottage, there are moorings for narrowboats. Many are pre-bookable moorings. Mant with narrow boats travel around the UK and visit Little Venice. 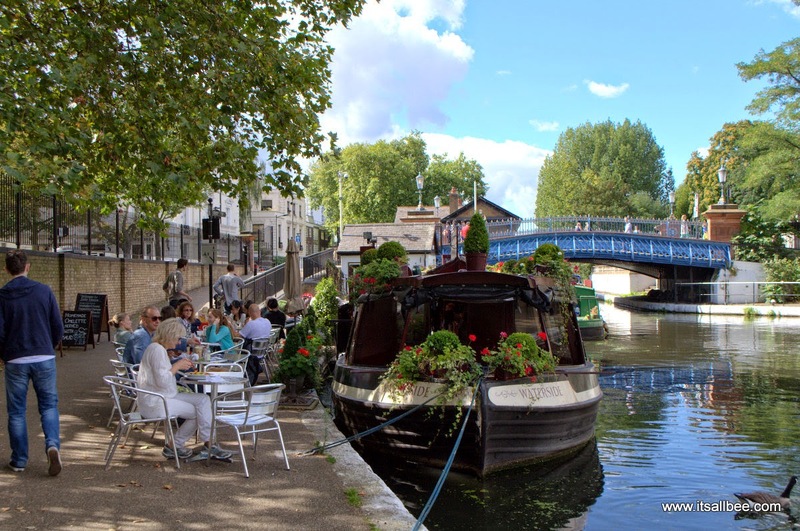 There is a vast array of cafes and restaurants in Little Venice ensuring you never leave it long between exploring and refueling. My favourite is the Little Venice Waterside Cafe. Here you can sit on the boat or on the pavement next to the boat. You can pretend to be in Venice while dining in the many restaurants or gastropub surround in the area; from a Scandinavian-inspired -The Waterwayeatery on the bank of the canal to highly rateddim sum at Pearl Liang. A short work from Little Venice is Edgware Road, where, if you are into your Arab food then there is no need to fly off to Morocco, Egypt or Lebanon to feast or experience the sensation of being in the Arab world. The whole road is lined up with enough choice you satisfy any appetite or craving for a Shawarma or falafel. 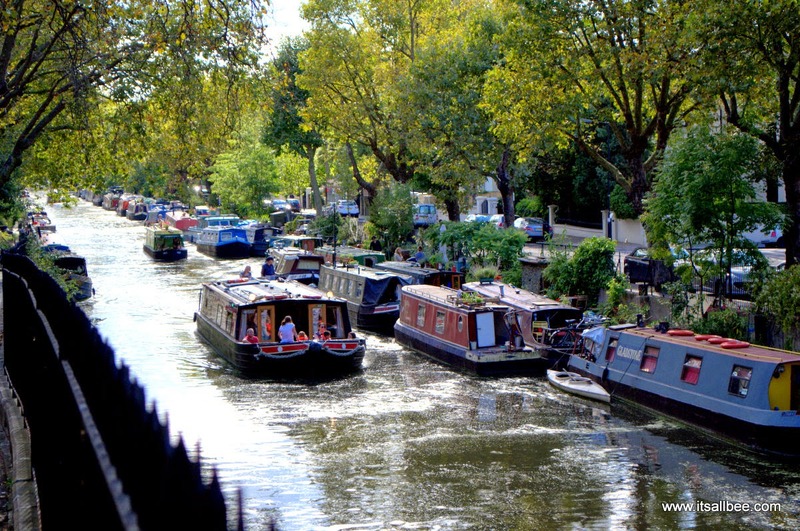 Little Venice is just a short walk away from both Camden Town and Portobello Road – two very different areas that offer a unique shopping experience for foodies and fashion lovers alike. With over 1000 unique shops, stalls, bars and cafes, Camden Market is a great place for hunting out alternative items and street food, while Portobello is full of vintage trinkets and handmade wares. 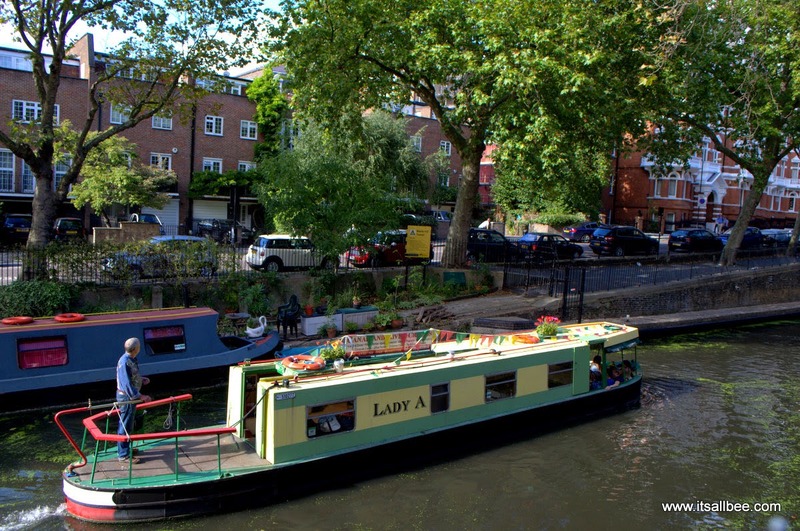 You can either walk to Camden Town or take a boat trips below which leave from Little Venice to Camden. 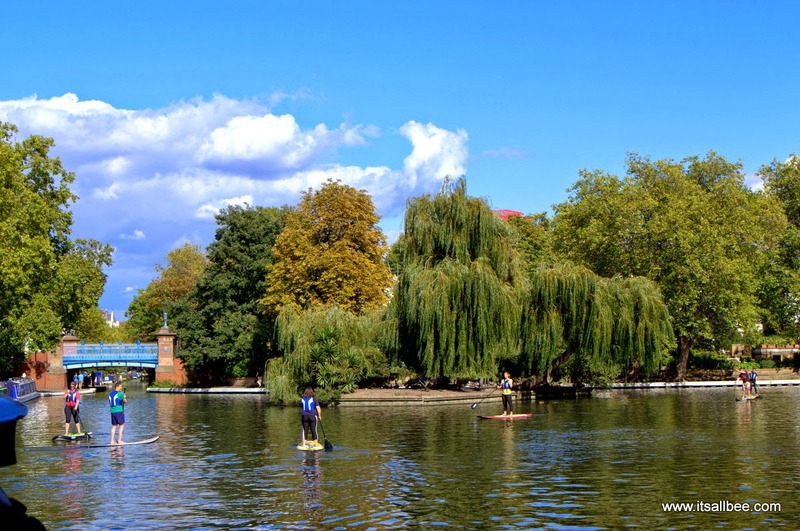 If you are up for something a little more active or perhaps you want to work off a hearty English breakfast eaten from the many foods stops along the canal, then you can work off the calories and take to the water by way of paddle boarding on the canals of Little Venice. This seems to have made its way to London. In my mind, I always picture this activity in more tropical and sunnier destination. Hey, whatever floats your board! There is also Kayaking in Little Venice if paddle boarding is not your thing. Tours: You can either walk or take a boat up the canal, with several operators offering guided boat or walking tours. Check out Get Your Guide for London tours and those in Camden and Little Venice. 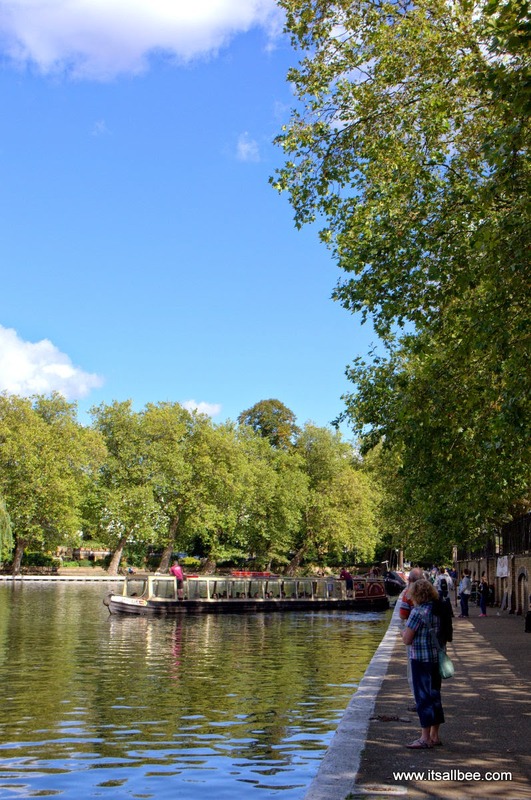 There are several boat companies, but one I have personally used with my friends was Jason Canal Trip which navigates the picturesque routes along Regents canal from Little Venice to Camden Lock, passing London Zoo and Regents Park surrounding areas. The tour also comes with live commentary lasting about 45 minutes. You can buy a single or return ticket if you want a return journey back to Little Venice or you can stay and mingle and check out Camden Market. You can also walk from Little Venice all the way to Camden Lock. The walk is about 30 minutes. Primrose Hill: If time permits you can also combine your visit to Little Venice with a visit to Primrose Hill, which offers some of the best views of London. 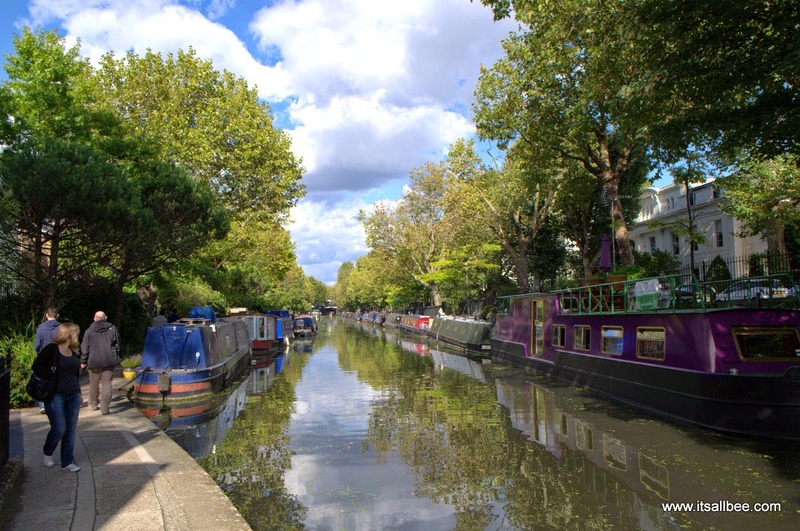 You can walk to Primrose Hill via the 5 km Regent’s Canal Walk which starts at the picturesque Little Venice and takes in the scenic Regent’s Canal, Regent’s Park, Primrose Hill before arriving at Camden Lock. Wander to the top, check out the views take a few snaps, and then continue back down on the canal. ZSL London Zoo: Also located along the canal is the London Zoo. A perfect addition for animal lovers and those exploring with kids. Below is Little Venice map illustrating showcasing Paddington’s cultural gems such as landmark footbridges, the Grand Union Canal and Little Venice, pretty narrowboats, public art pieces, beautiful park gardens and even daring paddle-boarders to surround Paddington Station. With warmer weather in London, comes many cool events and one event in Little Venice worth checking out is the Canalway Cavalcade. 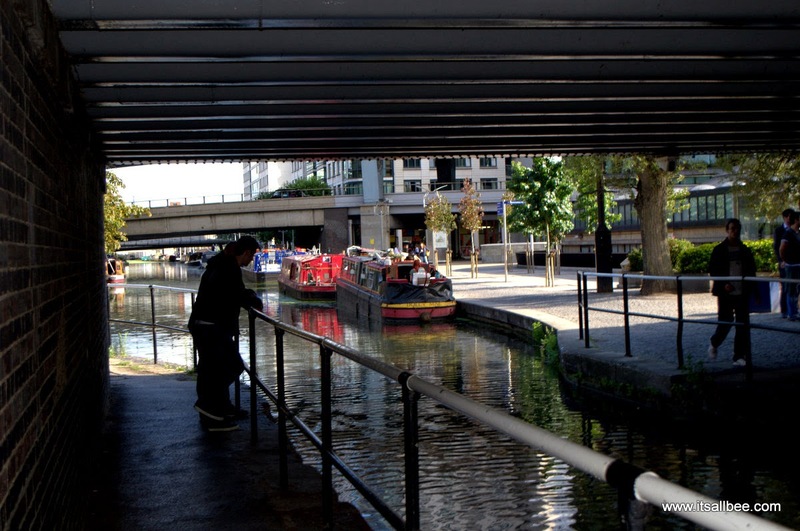 It is London’s biggest, brightest and best waterways festival. This unique waterway boat gathering is organised by volunteers and has been taking place at Little Venice since 1983. It an annual event, held on the weekend of the early May Holiday. A waterway event and boat rally with plenty of activities and entertainment. Its held in London’s Little Venice, the junction of Regents Canal and Grand Union Canal – 3 minutes walk from Paddington Station. Some on-street parking is available but with the event being popular you will have to arrive early to snub the few parking spaces available in the area. For more on the event check out Waterways. You can also see more in the video below. 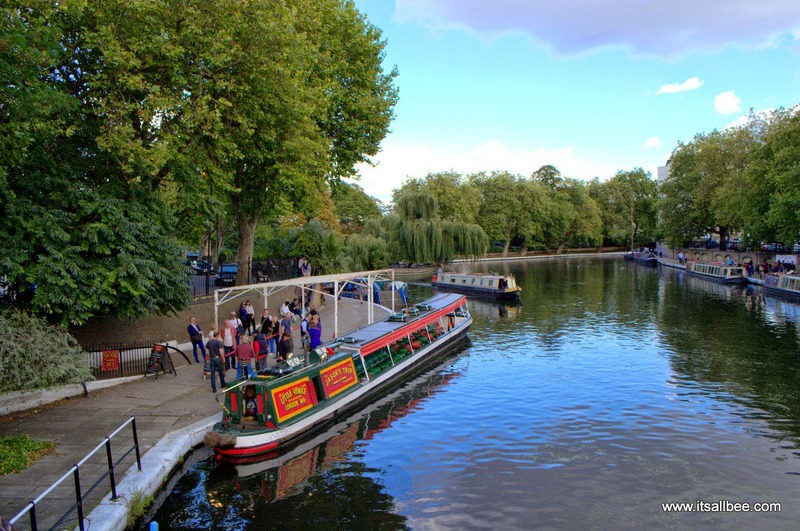 Little Venice Hotels | Hotels Near Little Venice. Little Venice sits along the Regents Canal. 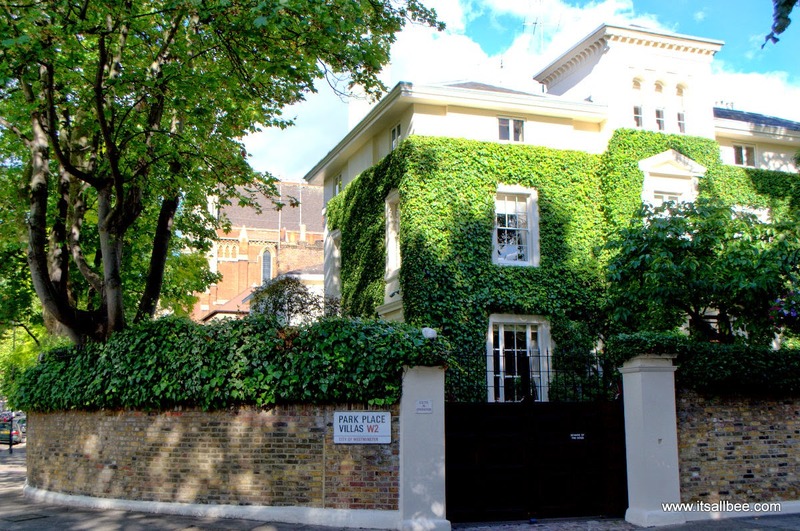 Its also close to Paddington which is a fairly busy area(due to being close to Paddington Station – one of London’s main transport hubs) and not one that is easy on the budget but you will definitely find something for everyone. For hotels near Little Venice check out the list of hotels in Camden, Paddington, Regents Park and Kings Cross. If you want to specifically stay on a boat in London then check out The Good Hotel(former dutch prison) and Sunborn Hotel that are both beautiful hotel boats located on the Royal Victoria Docks. Another one is an Airbnb called Jessie the Narrow Boat. You can get £14 off Airbnb with my link. For a full list of London accommodation option covering all budgets and includes apartments, hotels, hostels, and boats in London check out this list of hotels in London. Waterfront restaurants with outdoor seating are my absolute favourite. 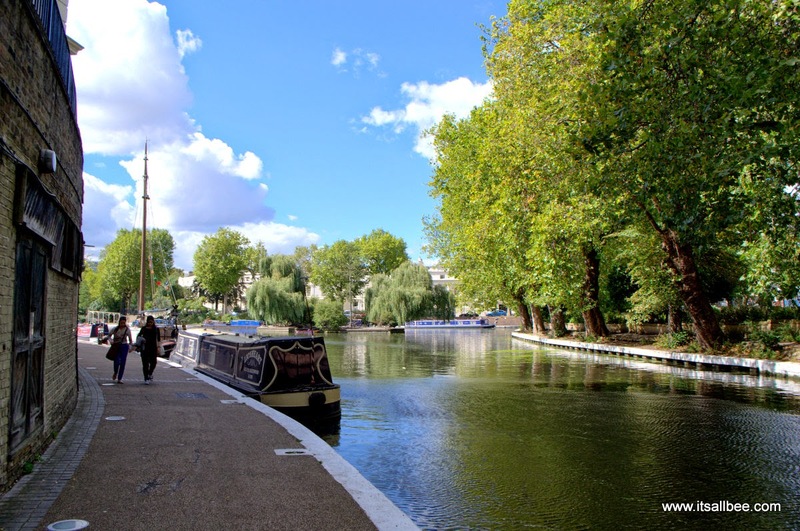 I love people-watching too so I know I would enjoy exploring London's Little Venice. 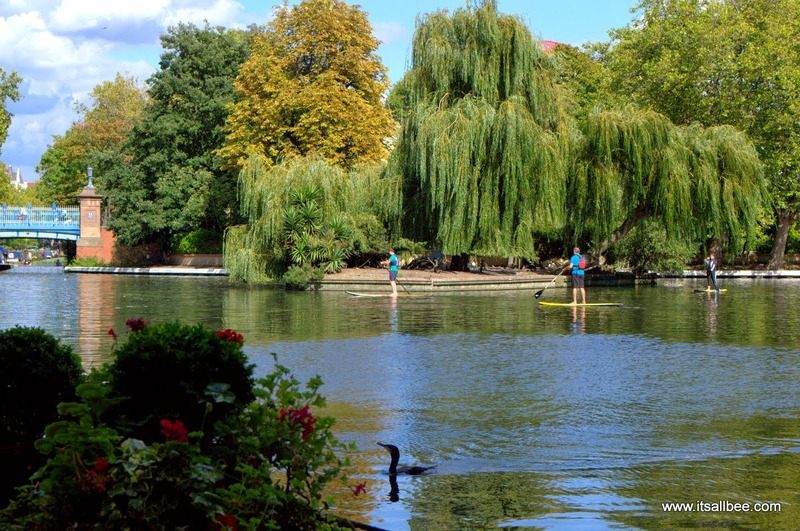 Have you gone paddle boarding along the canal yet? I've only tried it once before and it was a lot tougher than I imagined so I think kayaking would be more my style. Hey Danielle, nope I have not tried the paddle boarding yet. I actually didnt know we had it going in London until I was down by canals. I am definitely keen to try it though. Just depends on our amazing weather here in London. Wow, this is lovely! And all found in the middle of London? Looks like I might have to visit again!!! I think it's kind of cool you can paddle board and kayak here. I wouldn't imagine that in a place like this. It seems like a lovely part of London to explore. Thanks for sharing! Such beautiful photos!!! That place is dreamy!!!!! Brick Lane is beautiful too. I usually head over the for a dose of street art with good food thrown in. Ooooh! I've lived in London for 20 of my 26 years and i've never been. You've now convinced me to go 🙂 It looks gorgeous! I know, there are many places in London even as close walking distance that I have never been to. Just one of those things as we take things for granted when they are so close and easily accessible. It is lovely place to explore we just need good weather to enjoy the place. I'm glad tourists don't know about this place. Makes it perfect for us 🙂 I had never heard about this place before, but I'll sure keep them in mind. I wouldn't even mind if the weather wasn't that great. Wow I never even knew about this! And it's in the middle of London?? Wow – I'm there in two weeks and I'll definitely try to find it 🙂 Beautiful photos! It's a lovely area – it seems a world away from the centre of London! 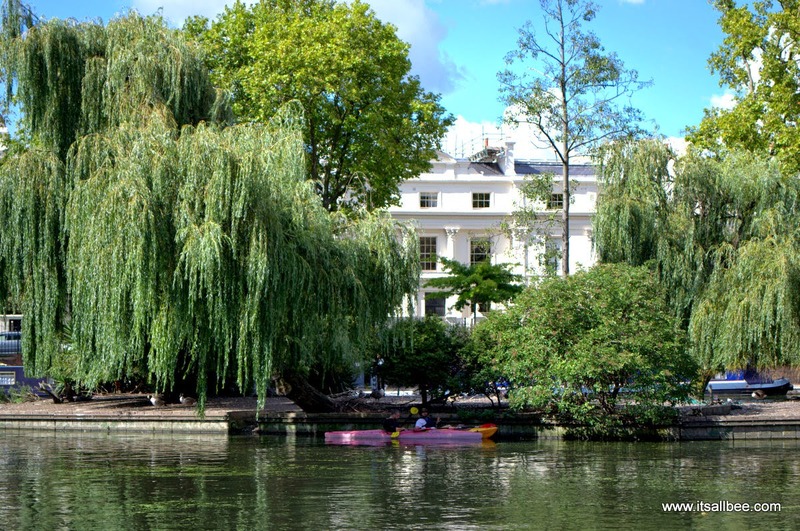 It´s the first time I hear about Little Venice but it seems like a place to definitely check out. Great pictures. I totally misread your title and got really confused the second paragraph in! Haha! You are so right though it is such a picturesque, pretty area to soak up the atmosphere. I've always dreamed of living on a canal boat there! (Although I think the dream will be better than the practicality!) We may be getting some late summer weather in September too, so it's a perfect time to head back down there! oh wow…I didn't know that there was a little Venice in London…it looks stunning! It's funny how there are so many little Venices all over the world.. I wasn't aware of the one in London, though! To be honest, it reminds me more of Amsterdam than Venice 🙂 Anyway, it looks great, especially as you were lucky and got some sunshine in your photos 🙂 And the paddle boarding there? That's really cool..! Oh my gosh! I had no idea this even existed, it sounds like such a fun way to spend an afternoon/evening. I just love all the random treasures you find in big cities like this. I love waterfront restaurant that offer some seating outside. It's just perfect to have a look around, relax for a while and take the sun for a bit. That looks lovely! Thanks for the lovely trip down memory lane Bianca. I lived in London for 5 years and Little Venice was one of my fave places, where I spent many a Sunday afternoons. I can't believe you can stand up paddle board there now! It certainly is pretty. Shame I am not down this part of London often. I had no idea this place existed. It's really cute! I've never heard of such a place but I must visit! Little Venice boat trips sounds like fun. I really have to come back to London now. Oh really? That place close to Warwick Avenue? Been passing the location on trips and always wondered what people are always doing there. Looks like I’ll have to check out Little Venice next time I visit London. Definitely adding Little Venice London canal trips to my London bucket list. I just got back from the UK and stayed in the London area… I am so bummed out I missed this area! Little Venice looks like a slice of heaven to me! I am planning on going to Italy, it is on my bucket list but I could have had a small taste of it just a week ago. Really enjoyed looking through your pictures. Maybe I will take another trip to London soon and see this beautiful area and definitely include little Venice London boat trip on the day itinerary in London. This place is so cute! We would like to visit, can you tell me what the Little Venice nearest tube station? Hi Lara, I detailed above how to get to Little Venice London from using Paddington station and the a quick walk out of the station. Just make sure you take the right exit. Such a beautiful place. I had no idea this place exisited in London. Going to out Little Venice London on my itinerary when I visit London in March. Pictures speaks more than a thousand words. I have been to London a couple of times but I have not been this Little Venice in London. 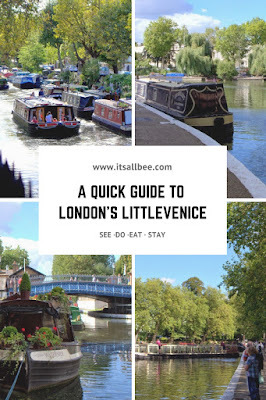 With this your Little Venice London guide, I feel like know a lot about the area as well as the Little Venice London activities to do to get the best of my stay there. I would love to try the Little Venice London boat trips to Camden. That’s another place that I have been dying to visit in London. Thanks a lot for this revelation. Yes, Little Venice in London is one of those hidden gems worth exploring. 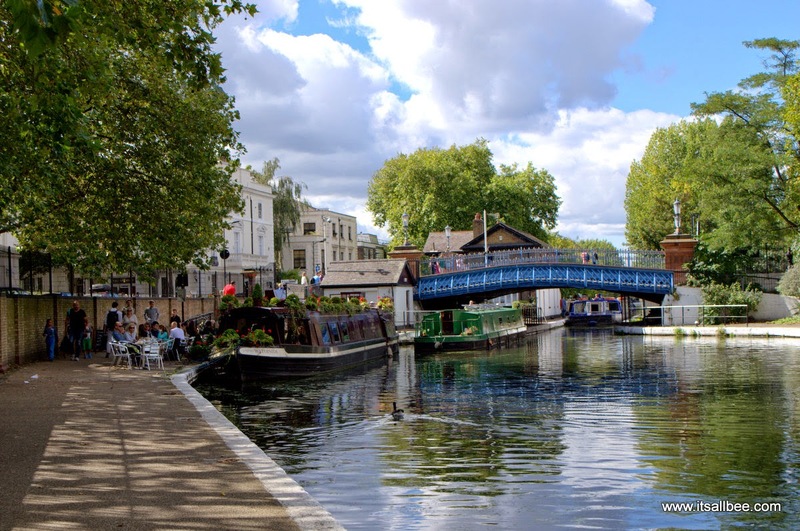 Its also easy to get to Little Venice as the nearest tube station is Paddington underground station and from then on a short walk. You have Little Venice London restaurants, boat rides, cool Little Venice London activities like paddle boarding, gondola rides and more. One of those cool places in London to visit. There is always something to learn from your blog and about London. Before now, I knew nothing about the little Venice in London and now find myself planning to explore this place and all the Little Venice London restaurants, the boat rides. I am going to be in London in June. I am just trying to figure out if Little Venice London accommodation is feasible. Also is Little Venice London safe place to stay? Really great post Bianca. I am always discovering more of London each time I visit your travel blog. 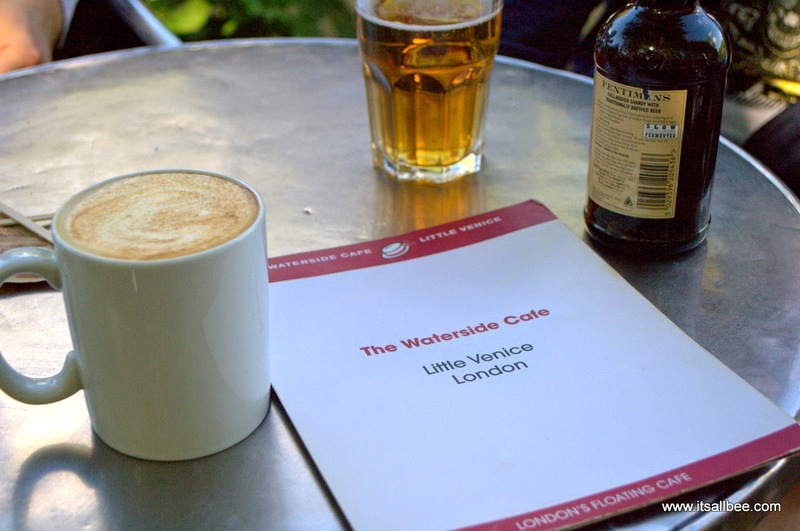 Also adding Little Venice London brunch to my list as I am loving that little cafe on the water’s edge. Yes little Venices is beautiful and pretty safe area to stay albeit a tiny bit expensive in some areas. But I have a new post with quirky hotels in London which includes a boathouse hotel. 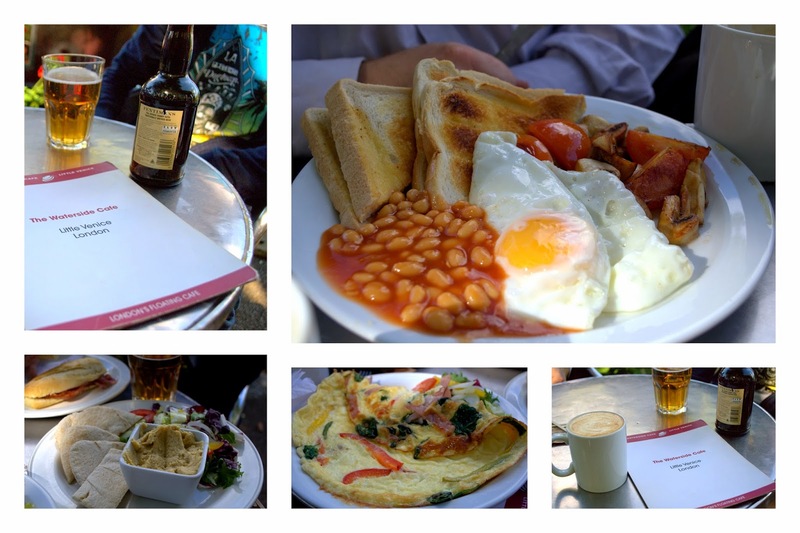 As for the Little Venice London brunch, yep that little cafe is well worth checking out when you visit. Nothing beats breakfast with a view as the canal activities past you by. Such an inspiring post. I have been to London several times but never have I been to Little Venice. I am firmly looking for Little Venice London hotels so that I can make sure I am near this place. I can just imagine the Little Venice London walks along the canal. This place is just looks so beautiful I cannot wait to check out the activities, the restaurants, pubs and of course not wanting to miss out on the Little Venice London boat trips. Yeap I am with you on the excitement for Little Venice in London. I am sure you will love it! Have a great time when you finally visit.